Love's Landing Fly-In (Florida) - - PAGE 317. Love's Landing Fly-In (Florida) · · PAGE 317. November 7, 2009: My new pilot friend Dale Walker took these photos as he and Barbie walked down the flight line about 10 minutes after my arrival. This tandem open-cockpit plane was just three spaces down from my RV-9A. This next photo puts things into perspective at the north end of the flight line. Dale and Barbie left their RV-6A near the far end of the line, beyond the ultralight with the movable overhead wing. This classic World War II style of nose art is a joy to behold on any airplane. Here is a closer view. Notice she is sitting on a flower. 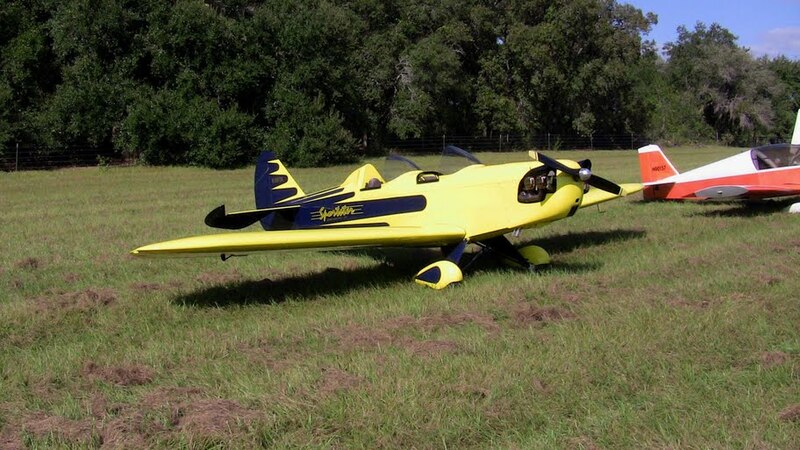 Here is the name of this RV-7 hot rod. It is fast and so is she. Hot Flash describes the airplane and lady in the nose art on the other side. It flew in from Naples, Florida down near the south end of the state on the Gulf Coast. This one flew over from nearby Mount Dora, Florida. I am betting it is based at the grass strip airport near Eustis, Florida about 18 miles away from this location. Here is another look at the airplane on the other side. This modified Cessna 182 has a much larger tail and rudder and I presume other modifications not visible. It is registered in the Experimental category since it is not in its original factory configuration. The owner is a local area resident. How could it be a fly-in without a Boeing Stearman biplane? This classic 1947 Fairchild is also based nearby in Marion County. CLICK HERE for PAGE 318 Return to MAIN MENU.